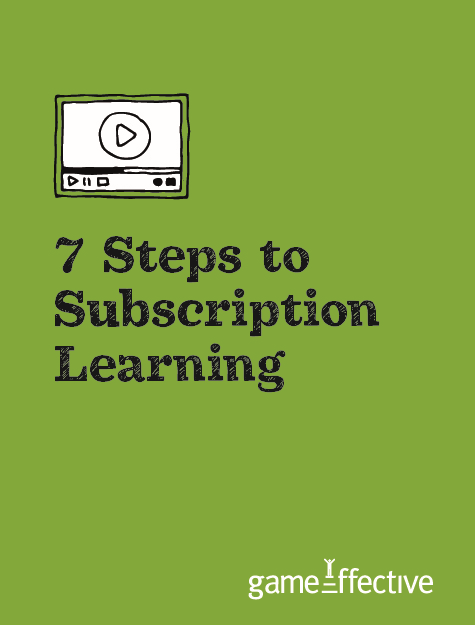 Subscription learning lets you use spaced learning, micro-learning and the idea of treating learners like "subscribers". The ability to provide an intermittent stream of learning-related interactions - each providing a micro-learning "nugget" - can be extermely useful. Delivering micro-learning in "threads" (sequences of related content), requesting feedback, communicating with your "subcribers" and using it for spaced repetition is a great technique. This free guide explores it and lists the seven steps to using it. To get your hands on this guide, let us know who you are by filling the form to the left. We will then send you the pdf right away.